AAKASH ASSOCIATION OF ALL KINDS OF AWARENESS SERVICES FOR HUMAN BEING is located in cuttack Orissa . AAKASH ASSOCIATION OF ALL KINDS OF AWARENESS SERVICES FOR HUMAN BEING is registered as a Society at Cuttack of state Orissa with Ngo unique registration ID 'OR/2012/0048549' . 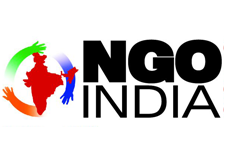 The NGO registration is done by Registrar of Societies with registration number 14685/423 of 1996-97 on the date of 13-06-1996, Its parent ORganaisation is PaulFoundation. The Chairman of AAKASH ASSOCIATION OF ALL KINDS OF AWARENESS SERVICES FOR HUMAN BEING is Sarada Mallik and Chief functionary officer is Prasant Rath.